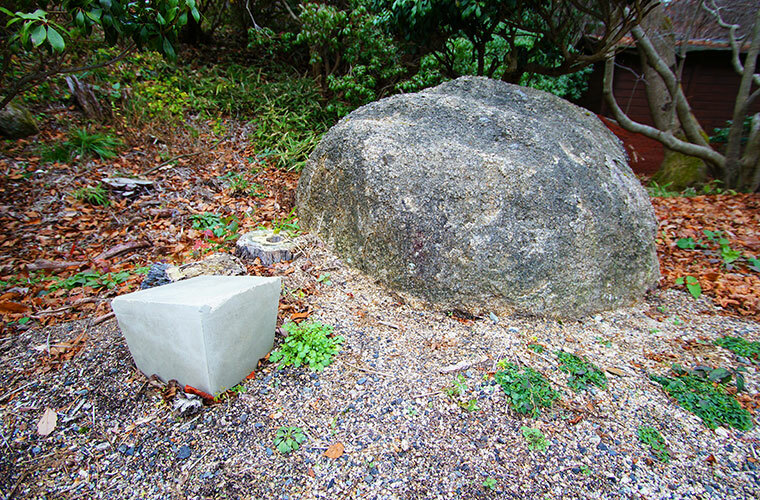 Video, Digital Media Player, Projector, Screen, 7 pieces of Concrete Blocks. During winter, there is a cold wind blowing from Mount Rokko down to Kobe city called “Rokko Oroshi”. “Anaba and Kataba”, which was presented at the annual Rokko Meets Art Competition (2015), takes this real natural phenomenon and creates a fictional narrative around it, claiming that the “Rokko Oroshi” wind is actually a man-made product that has been manufactured in the area for thousands of years. 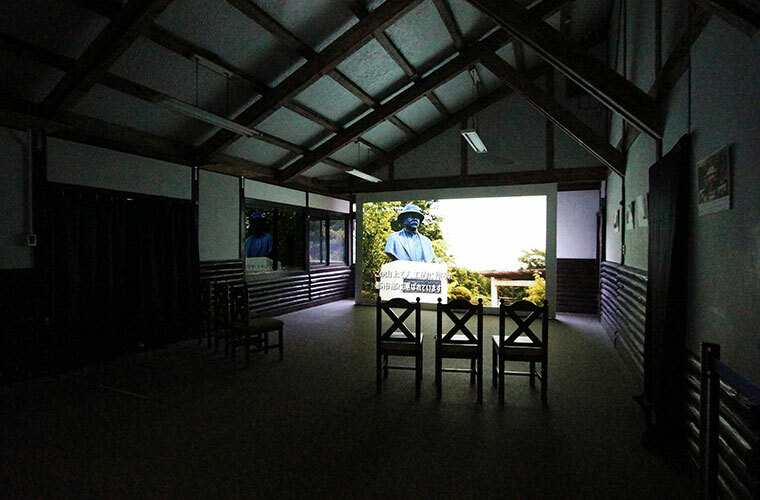 This installation consists of multiple parts, mainly a mockumentary film, snapshots from the film displayed on panels, and stone monuments. 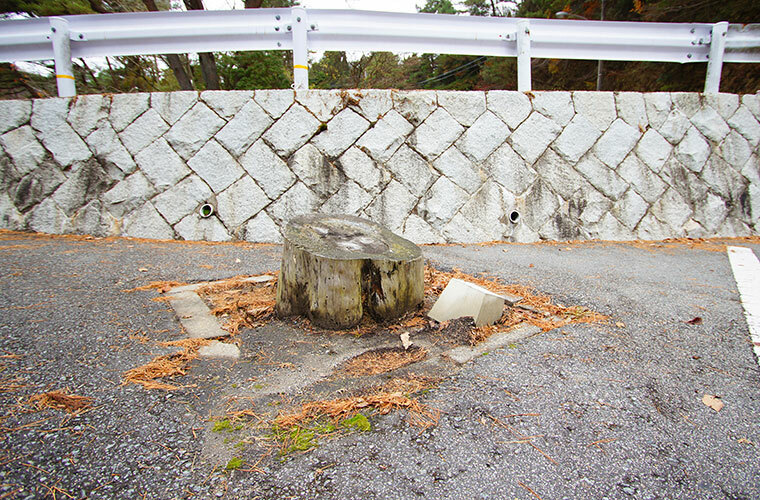 These monuments called “Sakasa-ishi” (Upside-down stones) are not only a vital part of the mockumentary narrative, but they were also placed in various places on Mount Rokko.